Missionary Displays offer LDS Stake Presidents a powerful new tool to emphasize missionary work and generate enthusiasm and excitement about the missionary program and activities in their stakes. 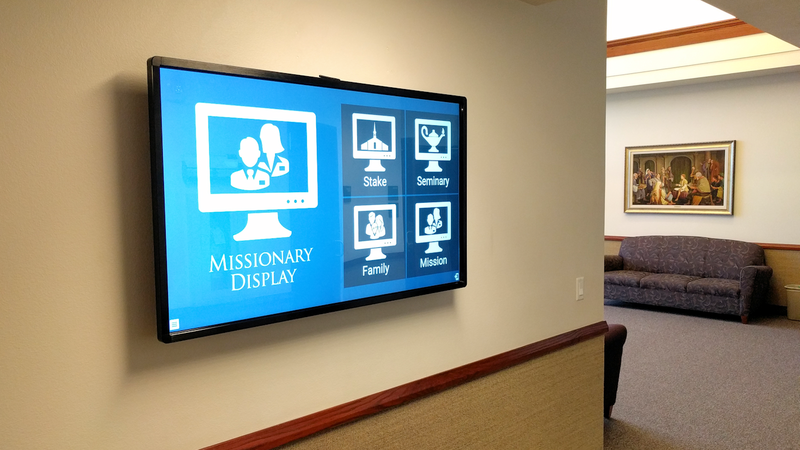 Recently many LDS stakes have been replacing their old static missionary boards and wall maps with sleek new interactive Missionary Displays. These displays honor missionary service and create a fun, vibrant, digital spotlight highlighting their missionaries' service and success.